More than one million patients visit the Parkland Health & Hospital System each year in Dallas, where Paul Leslie continues its century-long tradition of excellence in patient safety and care. And his award-winning legal team is on the front line of progress as the academic medical center and healthcare operation serves an increasingly diverse population. As one of the largest public hospital systems in the United States, Parkland includes thirty-four clinics in the surrounding community, a brand new state-of-the-art 870 licensed bed acute care hospital, a Level I Trauma Center, a Level III Neonatal Intensive Care Unit, the second largest civilian burn center in the country, a community health plan, and an independent center for clinical innovation. It also houses the primary teaching hospital for the University of Texas Southwestern Medical Center. “It does not get any more complex and challenging than managing the legal affairs of a large academic medical center that serves as the region’s safety net hospital,” Leslie says. Leslie, executive vice president and general counsel, is a linchpin within all those moving parts. His legal team—comprising nine attorneys and nineteen support professionals—ensures the system stays within the guardrails of what’s legal and appropriate from a regulatory standpoint amid the complex regulations that fill up a library at its headquarters. Leslie considers that proximity a primary motivator behind his decision to go in-house in the healthcare space. He joined Parkland in 2010 as interim general counsel before former Parkland CEO Ron Anderson requested he come aboard officially a year later. Prior to Parkland, Leslie shaped his thirty-one year legal career as Tenet Healthcare’s associate general counsel and as a partner at Dallas-based law firms Taber Estes Thorne & Carr and Gardere & Wynne. The general counsel leads his department based on the values he gleaned from the mentorship he received earlier in his career. He describes one of these influential mentors, former trial lawyer Webber Beall, as a true Southern gentleman with impeccable ethics and a great moral compass. Leslie also credits another early career experience as the foundation for his leadership mind-set. 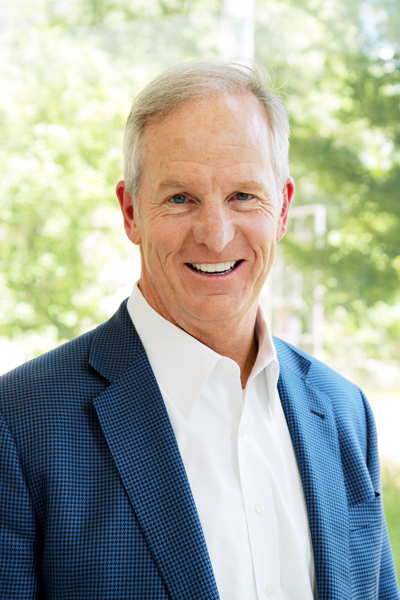 He clerked for Texas Supreme Court Justice James A. Baker at the Dallas Court of Appeals after law school—he earned a juris doctor from St. Mary’s University after a bachelor’s degree in financial management from Texas Christian University. Leslie chased his enthusiasm to Parkland, where he now he leads an award-winning legal team. Last year, the Texas General Counsel Forum presented Parkland’s legal affairs department with the 2017 Magna Stella award for Excellence in Diversity. Leslie also received the Forum’s 2016 Magna Stella award as the outstanding General Counsel in the Non-Profit and Government Agency category. The Forum comprises general counsel and senior managing counsel from more than half of the Texas-based Fortune 500 companies. Parkland’s organic progression on the diversity front mirrors the national trajectory, according to the general counsel. As population demographics shift, he explains, companies across industries are recognizing the growing need to serve diverse customers through the cultural competencies of a diverse workforce. “You really are at a disadvantage if you do not understand that you have to engage and show that you value your patients in a way that they culturally understand and appreciate. 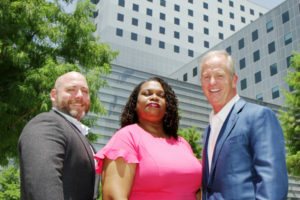 There is no way that can be effectively done without a diverse workforce and supportive leadership structure.” Parkland’s chief executive officer, Frederick P. Cerise, MD., is a particularly strong champion of diversity, Leslie noted. “We could not have been as successful without Fred’s genuine engagement and support,” he says. Currently, Parkland’s legal team is 76 percent female and 24 percent male; 48 percent white; 40 percent African-American; 8 percent Hispanic; and 4 percent Asian. And for Leslie, diversity applies beyond gender and race to backgrounds and personalities as well, who balances an equal number of extroverts and introverts within the department. At time of publication, Paul Leslie was no longer with Parkland Hospital.